100 Ac. in COLORADO Mountains, grassy PASTURES, a tall PONDEROSA PINE FOREST, a SPRING Creek.providing 75 G.P.M. of pure Rocky Mountain water for livestock. 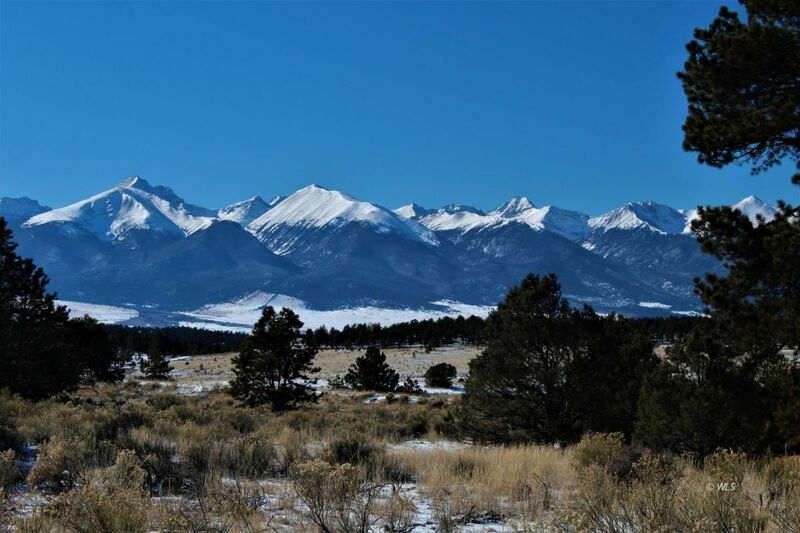 This a a gentle land, rolling and sloping, providing building sites in the higher ground covered with the pine forest and good agricultural land in the lower meadows, all with gargantuan vistas of the mighty SANGRE de CRISTO Mountain Range in South Central Colorado. Enjoy the KRAKATOA Sunset's, lush GREEN GRASS along the spring feed CREEK, shade in the TALL PINES. No light pollution.The MILKY WAY is brilliant in the beautiful dark skies. No telescope needed on a cool Summer's eve at 8000+ feet above sea level. Located in the Colorado's pristine WET MOUNTAIN VALLEY just South of the quaint mountain village of Westcliffe. Tens of thousands of ACRES of NATIONAL FOREST bless this mountain PARADISE. FISH 52 high mountain CRATER LAKES nestled under 14,000+ foot mountain peaks. The ARKANSAS RIVER roars to the North and the famous MEDANO MOUNTAIN PASS just to the South will give you a 4x4 adventure to the GREAT SAND DUNES National Park. Abundant WILDLIFE supplies the hunting and food that many seek. Bring the HORSES, build your HOME!